Making the Witch-king’s Helmet « Adafruit Industries – Makers, hackers, artists, designers and engineers! To get the shape I used a heat gun and very carefully heated the foam board until I could bend it! (too much and it will burn). Don’t burn your fingers when shaping the foam, wear gloves or something. 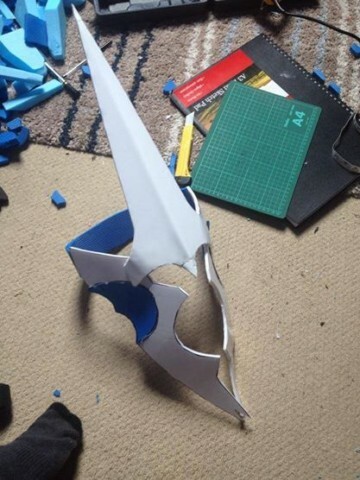 The EVA foam is much easier to shape than the foam board as it doesn’t burn as easily. Once all the pieces are the right shape then you can glue them all together! First I undercoated it in black acrylic paint then dry brushed white over it to get a rough weathered texture! 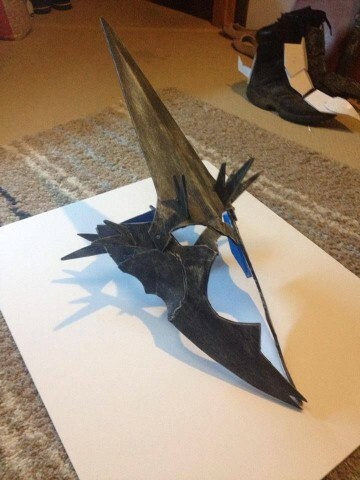 I added some features like the horns and two small circles of foam to make them look like nails.